Limes, Klimes and Lemons are the citrus that offer more health benefits, helping to combat naturally more than 200 diseases. 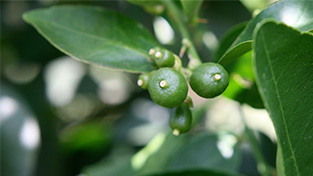 Its healing power lies in the balance between low caloric contect, balanced level of sodium and potassium and a great contribution of vitamin C.
Eating Limes, Klimes and Lemons, practically all the citrus is consuming Vitamin C with no calories. Their low potassium and sodium levels make them ideal for combating hypertension. Detoxifying and purifying, the juice eradicates harmful foreign substances in our body. Strong Bactericidal and Antiseptic: Highly effective against germs and viruses. Its acidity helps kill germs in minutes. Its high content of Vitamin C (Ascorbic Acid) helps maintain high immune system, needed in cold weather and to fight rheumatic diseases. Its high content of vitamin C (501.6 mg / L), supports the growth of teeth, gums and bones, and citric acid (49.88 g / L), which is a good preservative and a powerful natural antioxidant. 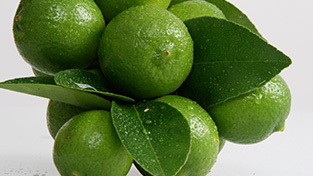 To treat sore throat, gargle with lemon or lime juice is helpful (the most effective is Key Lime). 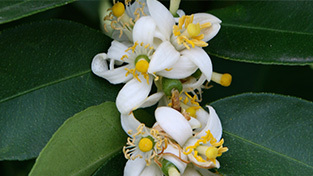 Known to help or alleviate diseases such as stomach problems, obesity, indigestion, gastritis, poisoning by heavy meals, heart disease, palpitations, headaches, kidney problems, urethritis, liver disease, urinary disorders, hemorrhage, tuberculosis, diseases of the lymph, acne, coughs, colds, flus, fevers of all kinds, problems caused by injections, ulcers, skin diseases, herpes, inflammation of the stomach flatulence, scabies, diphtheria, internal and external parasites, etc., etc. Dandruff: squeeze the juice of 2 or 3 lemons, apply on the scalp and let it sit a few minutes. Hand bleaching: Mix the juice of 2 or 3 limes with a little bit of glycerin, rubbing apply throughout the hand. Removes rust stains, squeeze some limes and add salt, apply the stain, let stand half an hour and go.